Iraqis protest Turkey's intervention in the north of their country on December 12. It is the same old Middle East story: The Shiites accuse Sunnis of passionately following sectarian policies; Sunnis accuse the Shiites of passionately following sectarian polices; and they are both right. Except that Turkey's pro-Sunni sectarian policies are taking an increasingly perilous turn as they push Turkey into new confrontations, adding newcomers to an already big list of hostile countries. Take President Recep Tayyip Erdogan's recent remarks on the centuries-old Shiite-Sunni conflict: they amusingly looked more like a confession than an accusation: "Today we are faced with an absolute sectarianism. Who is doing it? Who are they? Iran and Iraq," Erdogan said. This is the same Erdogan who once said, "The mosques are our barracks, the domes our helmets, the minarets our bayonets and the faithful our soldiers...." Is that not sectarian? So, with a straight face, the president of one sectarian country (Sunni Turkey) is accusing other countries (Shiite Iran and Shiite-dominated Iraq) of being sectarian. Erdogan went on: "What about the Sunnis? There are Sunni Arabs, Sunni Turkmen and Sunni Kurds [in Iraq and Syria]. What will happen to their security? They want to feel safe." Turkey's pro-Sunni sectarian policies are taking an increasingly perilous turn. Never realizing that its ambitions to spread Sunni Islam over large swaths of the Middle East, especially Syria and Iraq, were bigger than its ability to do so, Turkey now finds itself confronting a formidable bloc of pro-Shiite countries: Russia, Iran, Syria, and Iraq, plus the much smaller Lebanon. Even before the crisis with Russia that began on November 24 -- over Turkey's shooting down a Russian SU-24 along the Turkish-Syrian border -- has shown any sign of de-escalation, another Turkish move had sparked a major dispute with neighboring Iraq. Just when Turkey moved to reinforce its hundreds of troops at a military camp in Iraq, the Baghdad government gave an ultimatum to Ankara for the removal of all Turkish soldiers stationed in Iraq since last year. Turkey responded by halting its reinforcements. Not enough, the Iraqis apparently think. Iraq's prime minister, Haider al-Abadi, said on December 7 that his country might turn to the UN security council if Turkish troops in northern Iraq were not withdrawn within 48 hours. 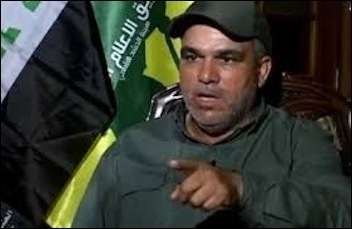 Hadi al-Ameri, the head of the militant Shiite Badr Organization, threatened that his group would fight Turkish forces if Ankara continued its troop deployment. Badr Brigade spokesman Karim al-Nuri put the Turkish ambitions in quite a realistic way: "We have the right to respond and we do not exclude any type of response until the Turks have learned their lesson ... Do they have a dream of restoring Ottoman greatness? This is a great delusion and they will pay dearly for Turkish arrogance." Badr Brigade spokesman Karim al-Nuri: "They will pay dearly for Turkish arrogance." Inevitably, Russia came into the picture. Russia's UN ambassador, Vitaly Churkin, said he told the Security Council that Turkey was acting "recklessly and inexplicably" by sending troops across the border into Iraq without the consent of the Iraqi government. According to Russia, the Turkish move "lacks legality." All that fell on deaf ears in Ankara, as Erdogan repeated on Dec. 11 that Turkey would not pull out its troops from Iraq. In response, Iraq appealed to the UN Security Council to demand an immediate and unconditional withdrawal of all Turkish troops from northern Iraq, calling Turkey's military incursion a "flagrant violation" of international law. 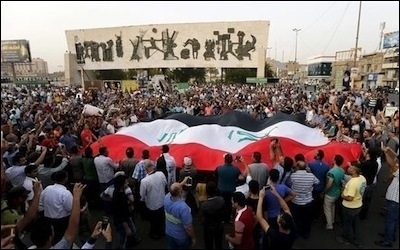 The next day, Shiite militia members gathered in Baghdad's Tahrir Square to protest against Turkey. Crowds of young men in military fatigues, as well as some Shiite politicians, chanted against Turkish "occupation," vowing they would fight the Turkish troops themselves if they do not withdraw. Angry protesters also burned Turkish flags. Through its efforts to oust Syria's non-Sunni president, Bashar al-Assad, and build a Muslim Brotherhood-type of Sunni Islamist regime in Damascus, Turkey has become everyone's foe over its eastern and southern borders -- in addition to having to wait anxiously for the next Russian move to hit it -- not knowing where the blow will come from. The confrontation with Russia has given Moscow an excuse to augment its military deployment in Syria and the eastern Mediterranean and weaken allied air strikes against Islamic State (IS). Waiting for Turkish-Russian tensions to ease, and trying to avoid a clash between NATO member Turkey and Russia, U.S. officials have quietly put on hold a request for Turkey to more actively to join the allied air missions in Syria against IS. After having lost its access to Syrian soil, Turkey also has been declared militarily non grata in Iraq. With the inferiority complex and megalomania still gripping the country's Islamist polity, Erdogan's Islam is not sensible; it is perilous. Russian conflict is weakening the fight.